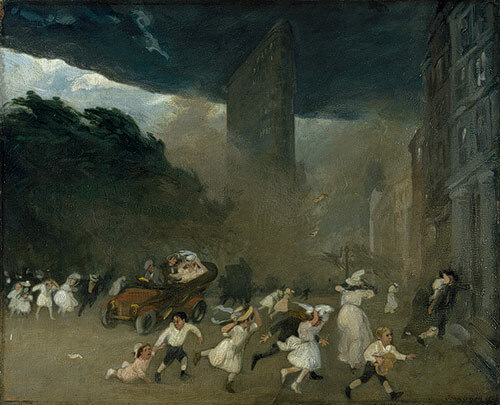 Today marks the 142nd anniversary of the birth of John Sloan, the great Ashcan school painter, who created vivid scenes of life in New York City. 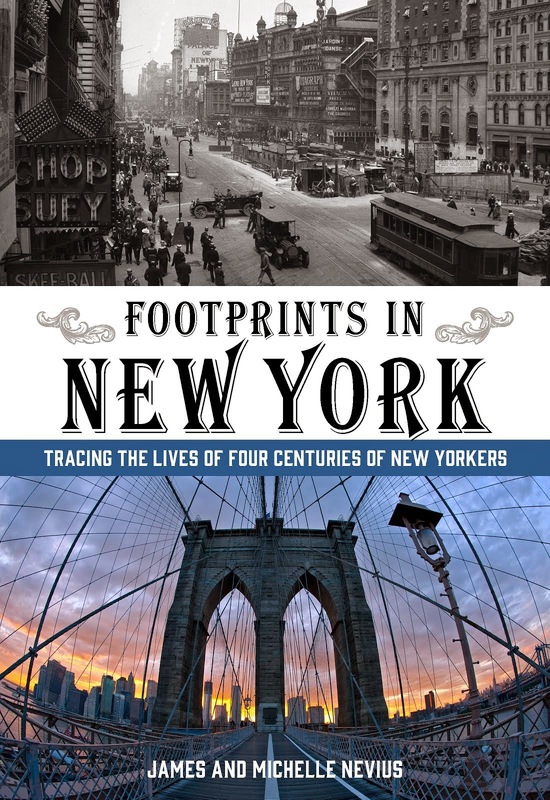 Sloan was born in 1871 in Lock Haven, Pennsylvania, and after spending a number of years in Philadelphia, he moved to New York in 1904, settling in Greenwich Village. That same year he participated in a group show of "The Eight" at the National Arts Club on Gramercy Park, an exhibition that thrust him into the limelight and drew critical attention to the Ashcan school's realist art. 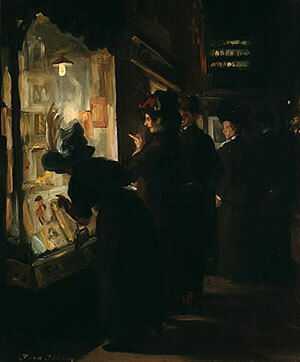 Sloan, like his friend George Bellows, painted life as it unfolded around him. 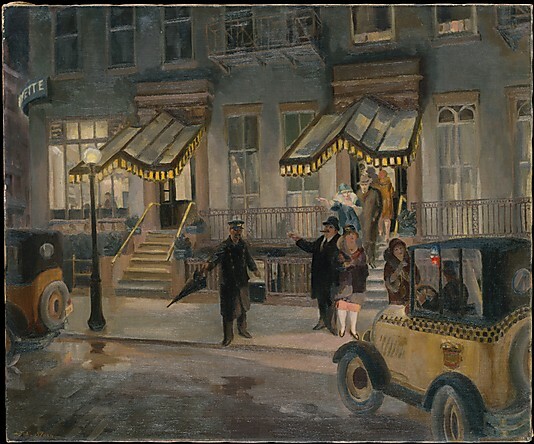 Below are just some of his wonderful New York City scenes. 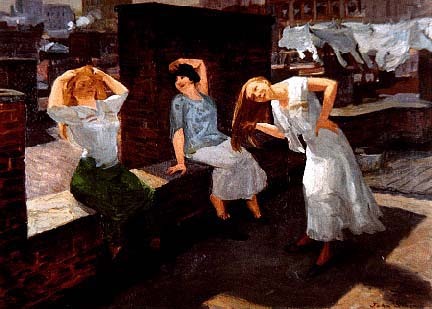 Sunday, Women Drying Their Hair, 1912, courtesy of the Addison Museum of Art. Sloan exhibited this painting in the famous 1913 Armory Show. Sixth Avenue Elevated at Third Street, 1928, courtesy of the Whitney Museum of American Art. 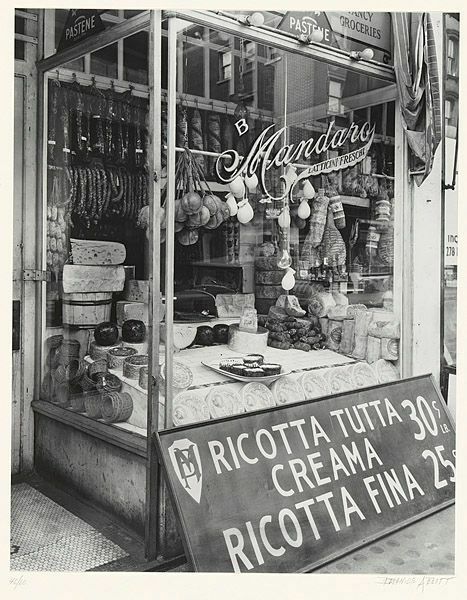 The Lafayette was a cafe in a hotel on University and Ninth Street where Sloan liked to hang out. Now gone, it was one of the last great literary and artistic meeting places in the Village. 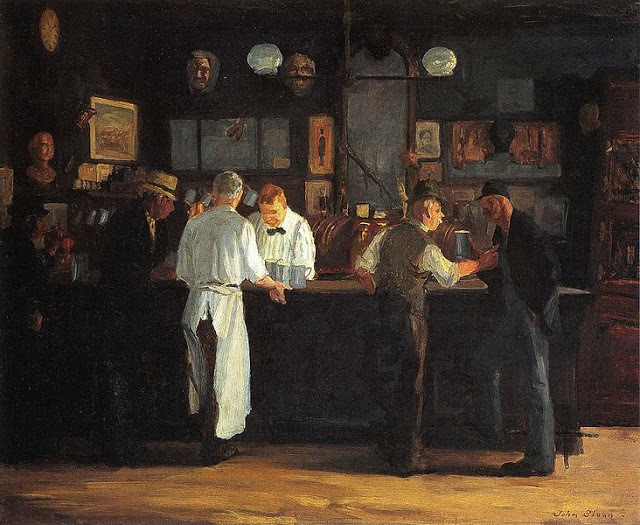 McSorley's Bar, courtesy of the Detroit Institute of Art. See our earlier blog post about McSorley's Bar here.